Idaho Fish and Game crews recorded the first 2016 sockeye salmon return to the Stanley area on Tuesday, July 19. The fish completed a 900-mile journey that included crossing through eight dams and swimming 6,500 vertical feet of elevation from the ocean to Stanley. 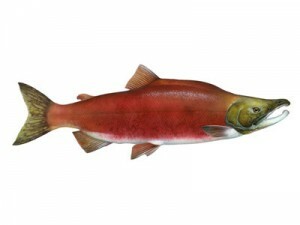 Through July 19, an estimated 1,029 sockeye bound for Idaho had crossed Bonneville Dam on the Columbia River. Of those, 730 had crossed Lower Granite Dam on the Snake River, which is about 25 miles downstream from Lewiston and the last dam the fish cross before reaching Idaho.